The car was once a symbol of freedom. Automakers still want us to believe in that dream. In reality, we are addicted to systems that have completely shut us out: we do not even know how to change a tyre anymore. And yet, the majority of the world lives in a DIY environment. Artist Melle Smets and sociologist Joost van Onna travelled to Suame Magazine (Ghana) to learn how an informal economy works. 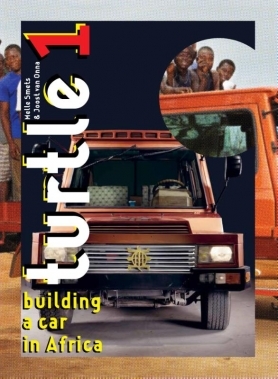 They collaborated with some of the ca 200,000 artisans and 12,000 organisations there to build a truly African car, based on recycled and locally produced parts - in just 12 weeks.